On November 3, 2007, six vehicles made history by successfully navigating a simulated urban environment—and complying with California traffic laws—without a driver behind the wheel. Five of the six were sporting a revolutionary new type of lidar sensor that had recently been introduced by an audio equipment maker called Velodyne. 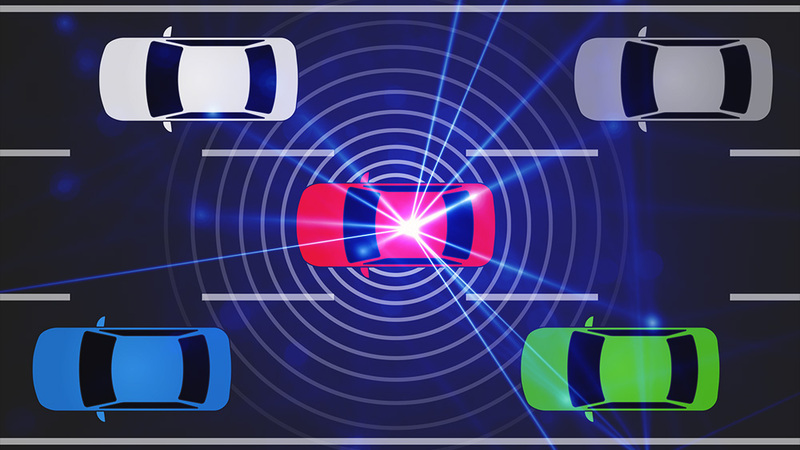 A decade later, Velodyne's lidar continues to be a crucial technology for self-driving cars. Lidar costs are coming down but are still fairly expensive. Velodyne and a swarm of startups are trying to change that. In this article, we'll take a deep dive into lidar technology. 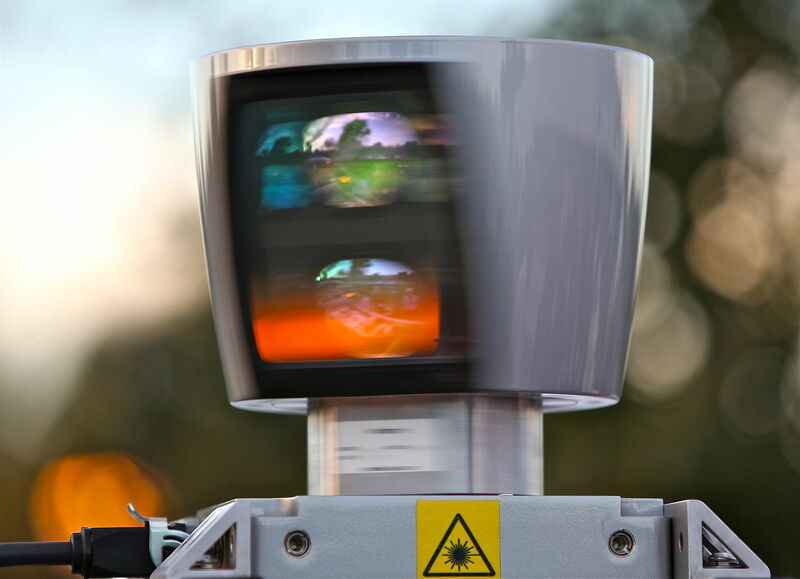 We'll explain how the technology works and the challenges technologists face as they try to build lidar sensors that meet the demanding requirements for commercial self-driving cars. Some experts believe the key to building lidar that costs hundreds of dollars instead of thousands is to abandon Velodyne's mechanical design—where a laser physically spins around 360 degrees, several times per second—in favor of a solid-state design that has few if any moving parts. That could make the units simpler, cheaper, and much easier to mass-produce. Nobody knows how long it will take to build cost-effective automotive-grade lidar. But all of the experts we talked to were optimistic. They pointed to the many previous generations of technology—from handheld calculators to antilock brakes—that became radically cheaper as they were manufactured at scale. Lidar appears to be on a similar trajectory, suggesting that in the long run, lidar costs won't be a barrier to mainstream adoption of self-driving cars. Scientists have been using laser light to measure distances since the 1960s, when a team from MIT precisely measured the distance to the moon by bouncing laser light off of it. But the story of lidar for self-driving cars starts with entrepreneur and inventor David Hall. In the early 2000s, Hall was the founder and CEO of Velodyne, a successful audio equipment maker. Hall was also a robotics enthusiast. "We were appearing on BattleBots and Robot Wars around that time, which was mostly an excuse for advertising our Velodyne loudspeaker," Hall told Wired in a recent interview. So when DARPA, the military research agency that birthed the Internet, announced a robot car race called the Grand Challenge, Hall decided to enter. For the 2004 competition, Hall and his brother built a robot truck guided by a pair of cameras. That approach didn't work well enough to finish the race—but neither did anyone else's robot. For the second DARPA race in 2005, the Hall brothers abandoned cameras and focused on lidar instead. Other teams were also using lidar, but lidar sensors on the market were primitive. A popular lidar at the time was the SICK LMS-291. This was a two-dimensional lidar system, meaning it could only scan a single horizontal slice of the world. That helped cars detect objects like walls and tree trunks that went straight up from the ground. But it could get teams in trouble if they encountered obstacles—like railroad crossing arms—with more irregular shapes. And it was useless if cars wanted to actually recognize objects—like distinguishing a pedestrian from a street sign, for example—rather than just avoid obstacles. So the Hall brothers developed a new type of lidar. They mounted a stack of 64 lasers onto a rotating gimbal that spun around 360 degrees. This allowed the unit to collect a truly three-dimensional view of the world around the vehicle. The Hall brothers didn't win the 2005 race, but their superior lidar sensor attracted interest from other teams. By the time of DARPA's third and final DARPA race in 2007, Velodyne had begun manufacturing lidar units and selling them. Hall didn't enter the 2007 race, but most of the top teams—including five out of six of the eventual winners—were sporting Velodyne lidar. 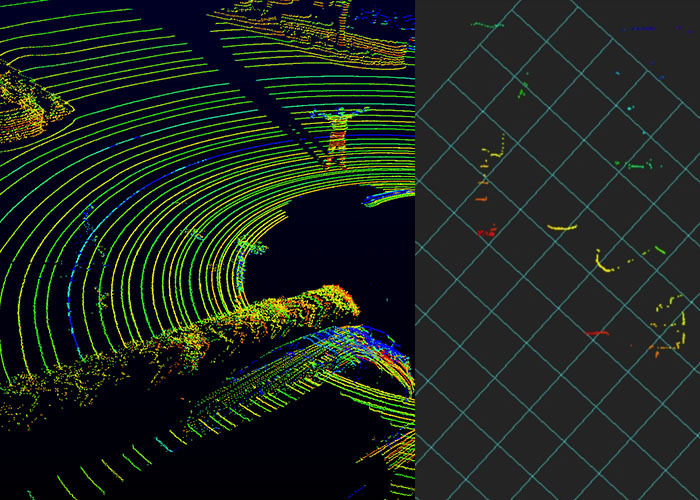 The post Why experts believe cheaper, better lidar is right around the corner appeared first on News Wire Now.